(BENSON) A team of young engineers received more than recognition from Arizona Generation and Transmission Cooperatives (AzGT) in March. The team, whose members were all still in high school, were about to receive a hand with both its publicity and with its finances. 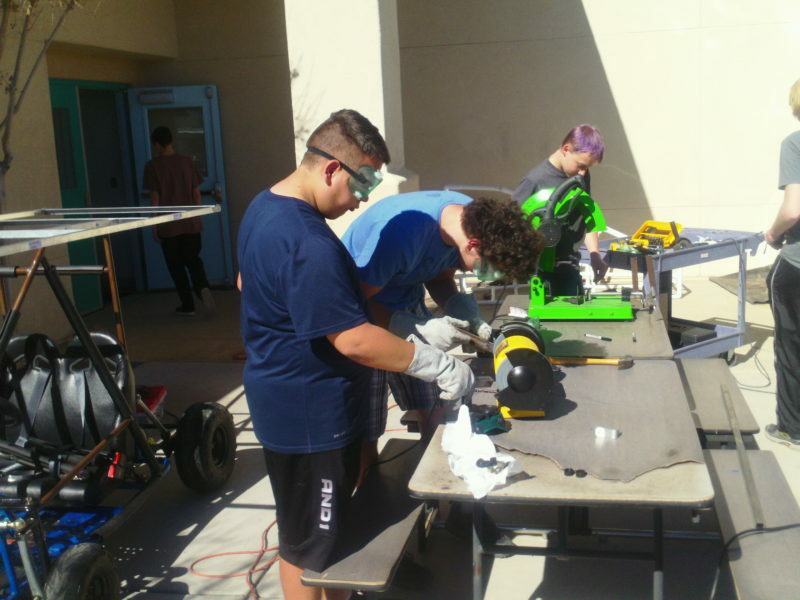 The Center for Academic Success (CAS) Solar Go Kart Racing Team had been victorious against other southern Arizona teams, and AzGT sought to give it a boost in its mission. 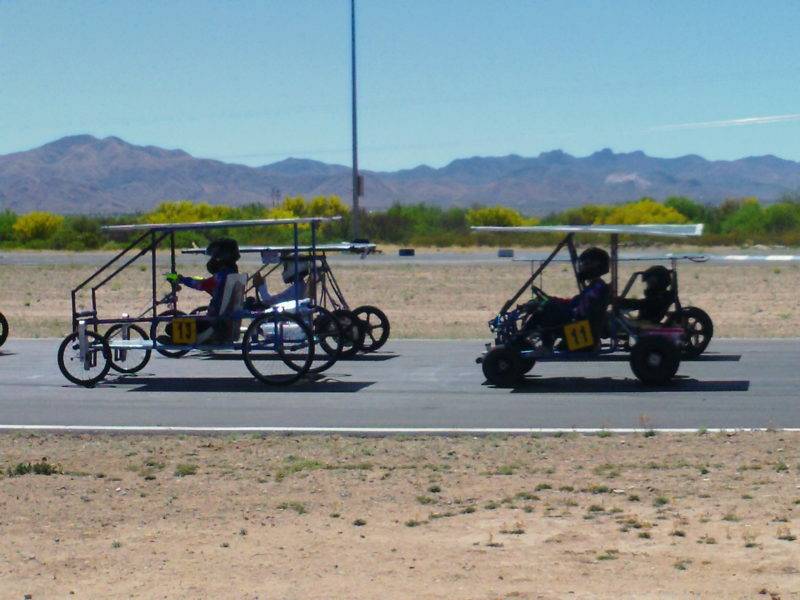 The CAS Solar Go Kart Team competes against other teams from around southern Arizona at the University of Arizona Technology Park’s Racing the Sun races at Musselman Honda Race Track in Tucson. CAS is a charter school with campuses in Sierra Vista and Douglas. Along with the solar go kart team, it also has programs that focus on underwater robotics and cybersecurity. Mr. Oh! equated the importance of these programs at CAS to the enthusiasm that varsity sports receive at other schools. 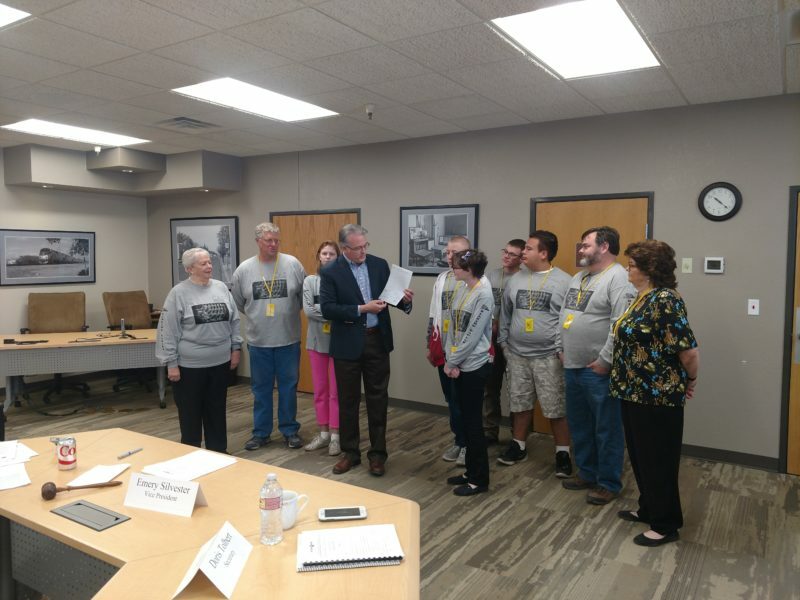 AzGT CEO Patrick Ledger presented a $3,000 check to the team and explained the importance of the skills they learn not only for their own future but for the future of the communities that they call home. Science, engineering, and technical skills are valued everywhere; however, the communities that AzGT serves continue to seek more employees with these abilities. AzGT CEO Patrick Ledger presents a check to the CAS Solar Go Kart Team. From left to right, Vada Phelps, executive director of Arizona at Work for southeast Arizona; Jeff Ofstedahl, CAS high school engineering teacher and team mentor; Olivia Escalante, team member; Patrick Ledger; Michael Haygens, team vice president; Makenzi Cushman, team president and driver; Daniel Thomas, team secretary; J.D. Barringer, team member; Ray Grymko, CAS high school engineering teacher; and Doris Tolbert, president of the CAS board of directors, attend the presentation. In addition to the check, AzGT also produced a video about the solar go kart program that CAS can use on its website as well as its social media channels. The video features the team talking about the different karts they have built, the challenges they have overcome as a team, and the skills they have learned in both engineering as well as cooperation. Members of the CAS Solar Go Kart Team must handle all aspects of the team, from kart construction to finances. Seen here are (l-r) J.D. Barringer, Brennan Townsend, and Michael Haygens. “The video that AzGT produced featuring the CAS Solar Go Kart Racing Team was a huge hit with the students and their parents. You could literally see them beaming with pride when they watched it. It will go a long way in helping CAS to showcase the good things happening at our school,” Ofstedahl said.